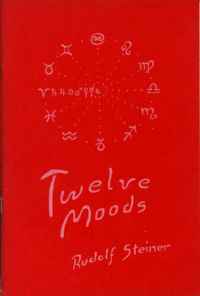 This volume contains an introduction by Ruth Pusch, a talk given by Rudolf Steiner before the Eurythmy presentation of the "Twelve Moods", and twelve verses by Rudolf Steiner entitled "Twelve Moods". In addition, there are two other poems by Rudolf Steiner: "The Song of Initiation, A Satire" and "Planet Dance". This translation is by Alice Wulsin, Gerald Karnow, and Ruth Pusch. These verses embody in their sounds and structure the cosmic influences on the human being of the planetary movements playing the instrument of the fixed stars. They were given to eurythmists in order to bring the twelve cosmic consonants and seven cosmic vowels into movement on earth. They also offer tremendous riches to anyone seeking to have an individual connection with the world of spirit through sound and movement. We present this edition here with the kind permission of the Rudolf Steiner Nachlassverwaltung, Dornach, Switzerland. From GA/Bn 40. Thanks to an anonymous donation, this Article has been made available.